I know this is late, but HAPPY NEW YEAR to all of you! Oh wow it's only the beginning of the month and I got so many things I got listed on my wish list this year. I have to delete them one by one otherwise I'll be broke like hell and my savings for something i've been lusting for so long (hmm..i mean..., watch) will be just a dream that never came true ._. This pictures were actually taken in my hometown and this was the outfit I wore to my brother's birthday dinner right after Christmas. The asymmetrical dress is from Zara, well since I'm not a kind of tall skinny person, i had to add a belt to avoid looking short and fat haha. 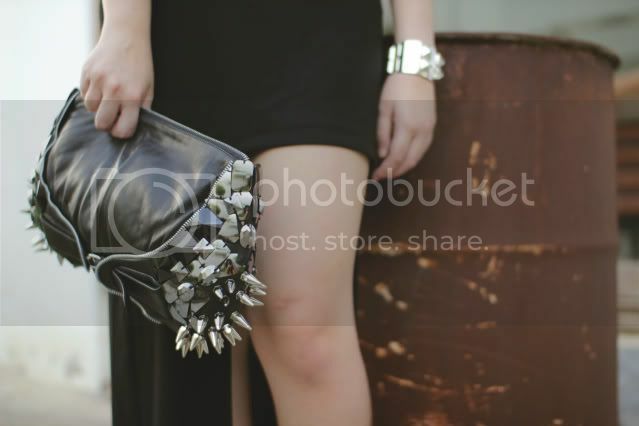 Paired it with louboutin rolando, and sally koeswanto spiked clutch.